My husband and I are celebrating our 3rd wedding anniversary today! 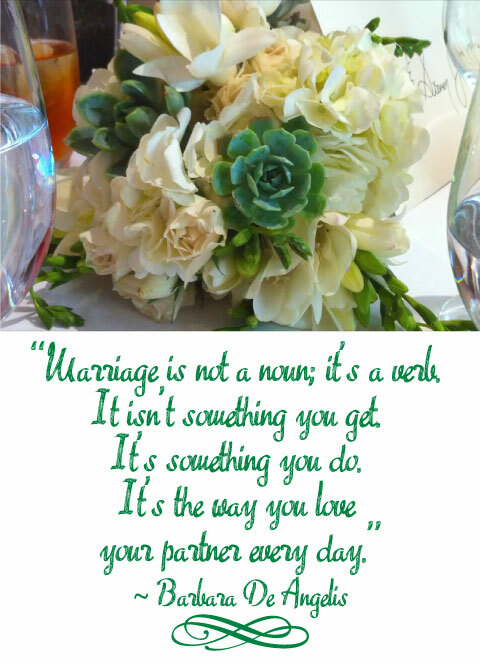 I love this quote by Barbara De Angelis and just had to combine it with a picture of my wedding bouquet. A quote worth sharing and I couldn't have said it better myself. This heart touching quote is worth copying for my sister's big day next month. My sister is looking for best wedding arches and marquees to be done at wedding venues for my special day. Her choice is extraordinary and therefore picked the best centerpieces, décor ideas, photo booths, light up equipments shown by the service providers. Thanks for her such affectionate gestures to make my day memorable.